Below you fill find all funeral homes and cemeteries in or near Winfield. Suburbs of Winfield: New Salem. Winfield is also known as: Cowley County / Winfield city. Their current mayor is Mayor Warren Porter. Zip codes in the city: 67156. Cowley County funeral flowers can be purchased from one of the local funeral shops we partner with. Some of the notable people born here have been: Darren E. Burrows (actor and film director). Winfield is a city and county seat of Cowley County, Kansas, United States. It is situated along the Walnut River in South Central Kansas. As of the 2010 census, the city population was 12,301 and second most populous city of Cowley County. It was reported on February 2nd, 2019 that Marcelee miss Gralapp died in Boulder, Colorado. Gralapp was 87 years old and was born in Winfield, KS. Send flowers to express your sorrow and honor Marcelee miss's life. It was revealed by Hutchinson News on January 5th, 2019 that Merle Jo Zongker passed on in Winfield, Kansas. Zongker was 86 years old. Send flowers to share your condolences and honor Merle Jo's life. It was reported by Hutchinson News on December 14th, 2018 that Garold "Gary" Butler died in Winfield, Kansas. Butler was 81 years old. Send flowers to share your condolences and honor Garold "Gary"'s life. It was disclosed by Hutchinson News on November 24th, 2018 that Farrell Edward Belt perished in Winfield, Kansas. Belt was 74 years old. Send flowers to express your sympathy and honor Farrell Edward's life. It was noted by Hutchinson News on November 3rd, 2018 that Robert Charles McDaniel died in Winfield, Kansas. McDaniel was 92 years old. Send flowers to share your condolences and honor Robert Charles's life. It was reported by Ellensburg Daily Record on September 29th, 2018 that Charles F "Chuck" Lathrop passed away in Ellensburg, Washington. Lathrop was 99 years old and was born in Winfield, KS. Send flowers to share your condolences and honor Charles F "Chuck"'s life. It was disclosed by Register Guard on July 22nd, 2018 that Joseph Thornton "Joe" Silliman passed away in Eugene, Oregon. Silliman was 83 years old and was born in Winfield, KS. Send flowers to express your sorrow and honor Joseph Thornton "Joe"'s life. It was noted by Hutchinson News on July 12th, 2018 that David Allan Maunz passed on in Winfield, Kansas. Maunz was 71 years old. Send flowers to express your sorrow and honor David Allan's life. It was noted by Hutchinson News on July 1st, 2018 that Saundra "Sandy" Smith died in Winfield, Kansas. Smith was 82 years old. Send flowers to express your sympathy and honor Saundra "Sandy"'s life. It was disclosed on May 20th, 2018 that Miriam Gail Kirkegaard (Mogle) passed away in The Woodlands, Texas. Ms. Kirkegaard was 82 years old and was born in Winfield, KS. Send flowers to express your sympathy and honor Miriam Gail's life. It is the county seat and most populous city of Cowley County. 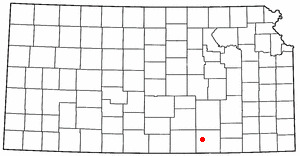 Winfield is a city situated along the Walnut River in the west-central part of Cowley County, Kansas County, located in South Central Kansas, in the Central United States United States. The population was estimated to be 11,861 in the year 2005. . . The official website for the city of Winfield is http://www.winfieldks.org. Judith Ann Welch, 71, of Winfield, Kansas, passed away Friday morning, Nov. 5, 2010, at her home. Funeral services will be held at 10 a.m., on Tuesday, Nov. 9, 2010, at Miles Funeral Service in Winfield. Interment will follow at St. Mary's Catholic Cemetery. Johnie Arlee Withrow, 92, of Winfield, passed away Oct. 30 ... Arrangements are by Miles Funeral Service. Memorials are to the Kansas Veterans Home or the Burden United Methodist Church. Contributions may be made through the funeral home. Listing all funeral homes in Winfield, Kansas so you can easily send flowers to any location (same day delivery) or find any funeral service. Funerals in Winfield, KS on Yahoo! Local Get Ratings & Reviews on Funerals with Photos, Maps, Driving Directions and more. Listing all cemeteries in Winfield, Kansas so you can easily send flowers to any location (same day delivery) or find any funeral service. We work with local florists and flower shops to offer same day delivery. You will find budget sympathy flowers in Winfield here. Our funeral flowers are cheap in price but not in value.